A new standard to Primary Care Medicine that's all about you. Located in Honolulu, Hawaii, Oahu Natural Care combines the rigors of modern scientific research with Naturopathic therapies that are designed to focus on restoring your health and preventing disease. Our primary focus is to determine the root causes of your health problems and partner with you to develop an individualized program to address these using the most effective treatments available. We believe in treating the 'whole' person and work collaboratively with other healthcare professionals to provide our patients with comprehensive care through the utilization of both well-researched and innovative treatments. At Oahu Natural Care, we provide attentive health care. Our physicians take time to listen to you, to empower you with knowledge, and to partner with you in order to find the best personalized solution for a healthy life. We look forward to meeting you and working together to get you where you want to be. 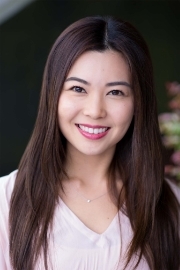 Find out about Dr. Catherine Nakamura's background, philosophy, naturopathic medicine, and treatment modalities. Oahu Care Center offers a wide range of services including primary care, laboratory testing and naturopathic therapies.